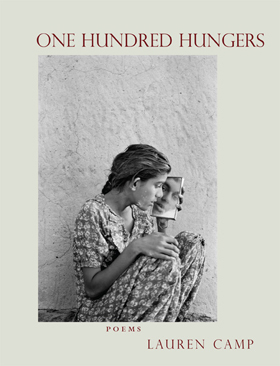 Join poet Lauren Camp for the inaugural reading from her new book, One Hundred Hungers. The book won the Dorset Prize and has just been released by Tupelo Press. In poems that explore the life experiences of a first-generation, Arab-American girl and her Jewish-Iraqi father, One Hundred Hungers tells a story of food and ritual, immigration and adaptation. Author Lauren Camp vividly imagines her father’s boyhood in Baghdad at a time when tensions began to emerge along ethnic and religious borders. She draws upon memories of Sabbath dinners in her grandparents’ new home in America to share the family’s culture, and question the untold reasons for their departure. Following the reading, Lauren will be in conversation with Joan Logghe, former Santa Fe Poet Laureate and author of The Singing Bowl (University of New Mexico Press) and Unpunctuated Awe: Poems of Santa Fe (Tres Chicas Books). 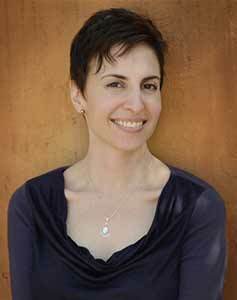 Lauren Camp is a freelance teacher, KSFR-FM radio host and Black Earth Institute Fellow. The author of two previous books, and a semi-retired visual artist, she has made her home in Santa Fe for more than 20 years.